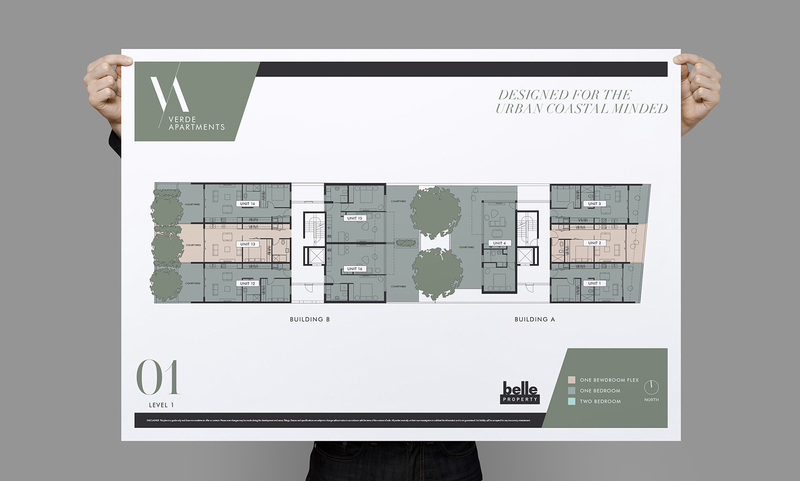 Designed for the urban costal minded, Verde Apartments in Manly Vale aims to offer a seamless living experience. Made developed and created everything from identity, brochures, photography, website and advertising. The identity seeks to reflect the contemporary finishes and elegant architectural detail of the property.